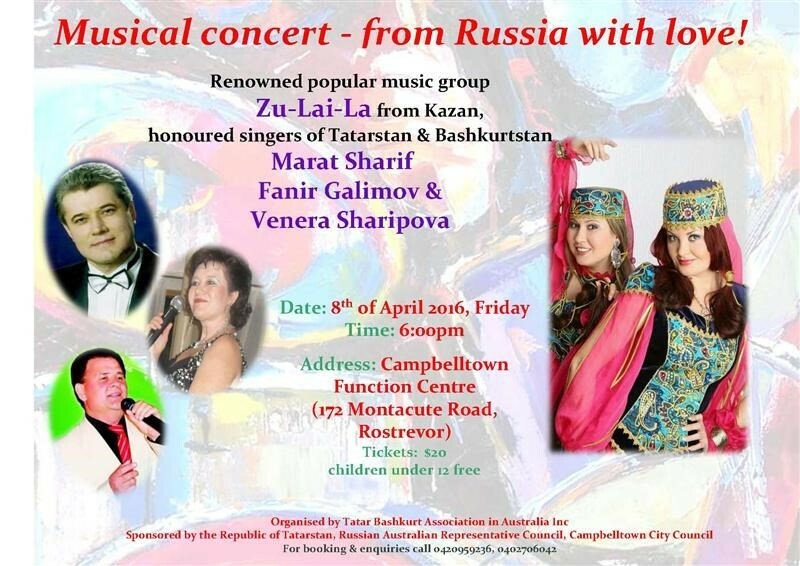 Tatar-Bashkurt Association organised Tatar Sabantui Festival which was celebrated on 10 April 2016 at the Stockade Botanical Park in Northfield at 12:00 pm. Sabantui MCs Hafiza Garipov and Rufia Valiff greeted the guests. Sabantui opening ceremony included Chakchak presentation by Adelaide Tatar girls & boys, speech by the President of Tatar Bashkurt Association Shohrat Valiff and executive committee activist Musharraf Valiyff. “Tugan Tel” song performed by Tatarstan honorary singers (atkazangan artistlare) musical group Zu-Lai-La Laisan Zakirova and Laisan Makhmutova.